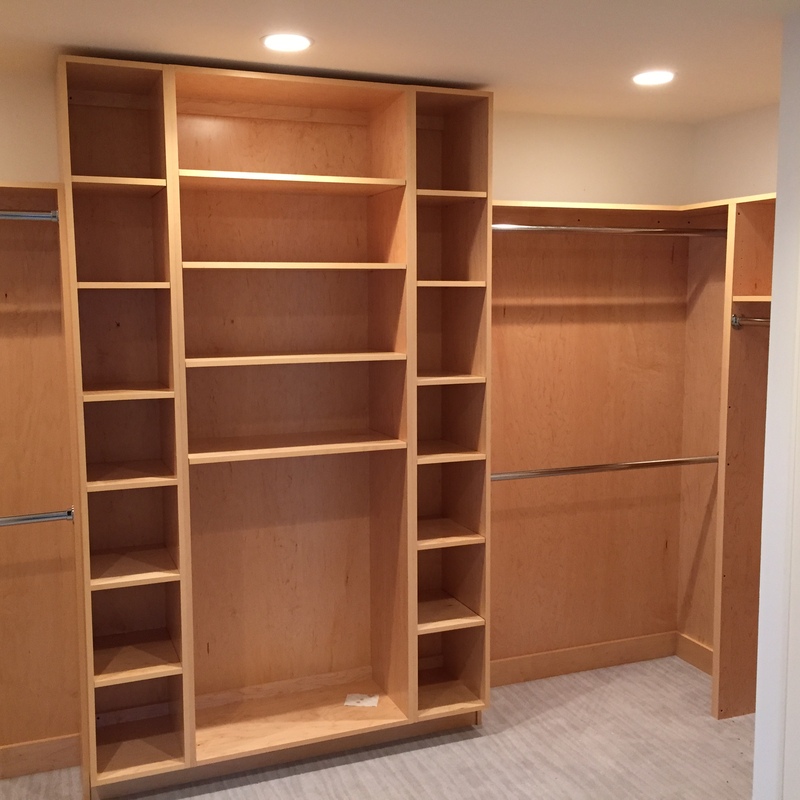 Added cabinetry to existing master bedroom closet. 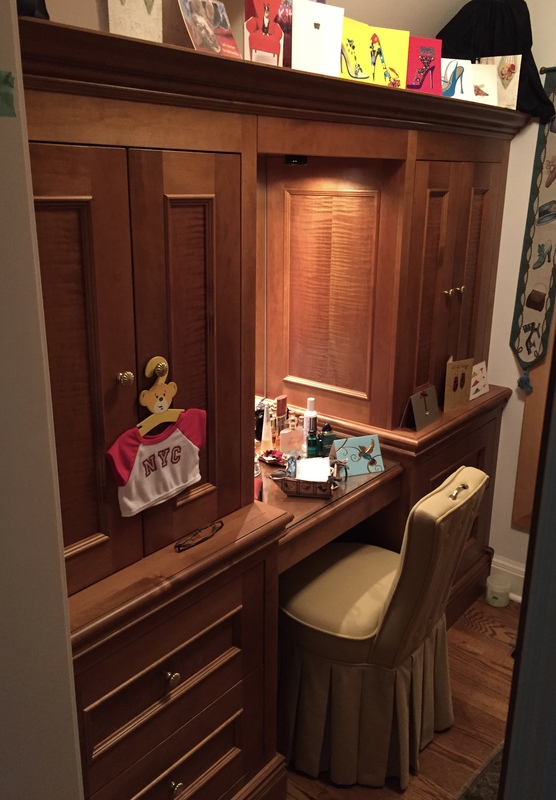 Make up table and armoire. Tiger maple with all maple dove tailed drawers. 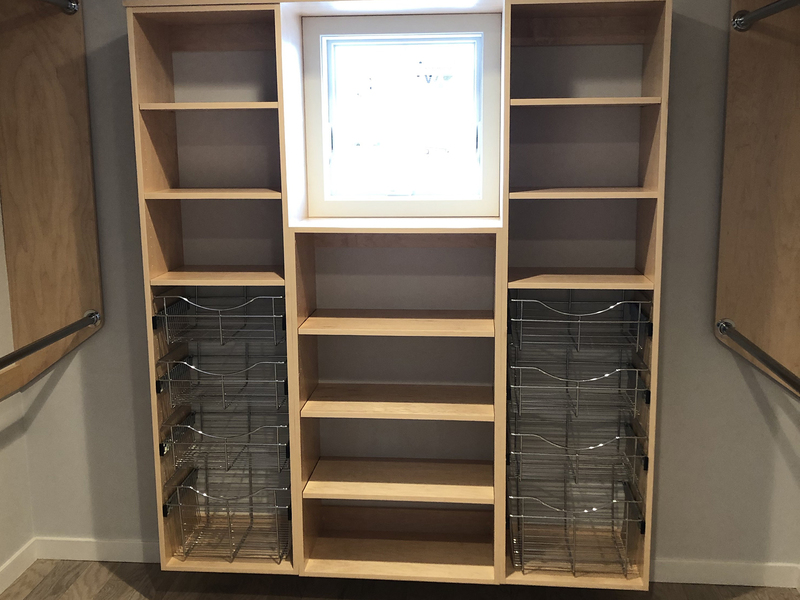 Pre finished maple closet shelving with chrome closet poles. 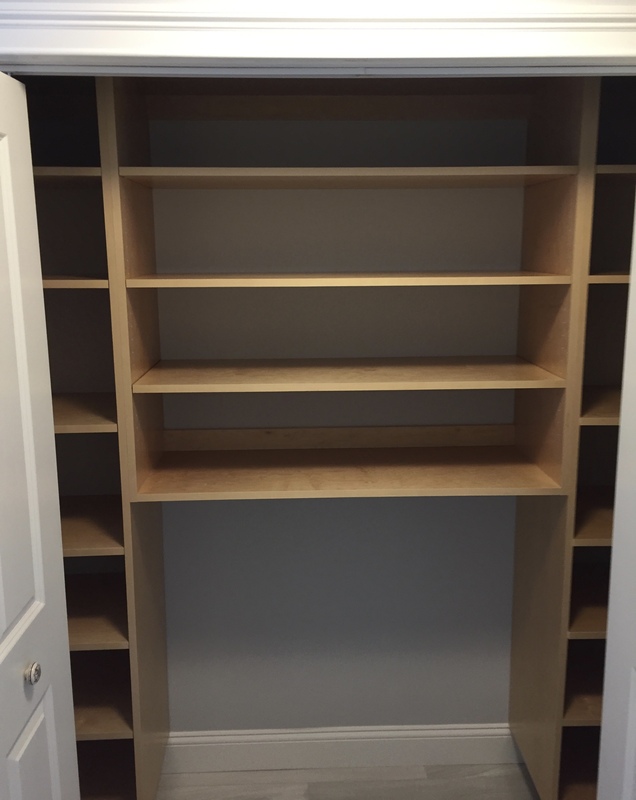 Installed pre finished maple closet shelves with open space for a rolling cloths hamper.